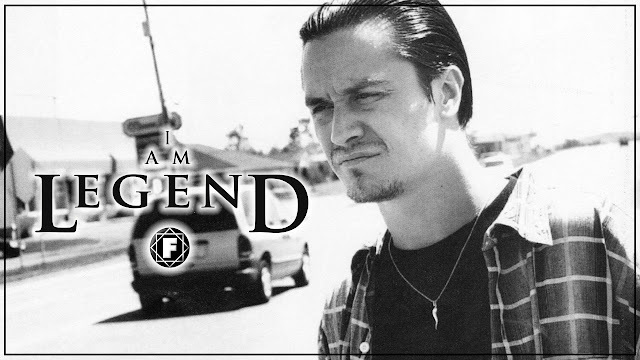 MIKE PATTON | The film 'I Am Legend' was released 10 years ago! Ten years ago today Warner Bros released the film I Am Legend. A post-apocalyptic science fiction horror film, and the third movie to be based on the 1954 novel written by Richard Matheson.The film was directed by Francis Lawrence and starred Will Smith, in the title role of scientist turned survivalist Robert Neville. Mike Patton provided the 'voices' of the Dark Seekers, infected humans who become vampiric monsters. Patton landed the part after screenplay writer and fan Mark Protosevich suggested they utilise Patton's vocal talents based on the Fantomas albums. "They described the sort of sounds they were looking for. They did not want to use stock footage for creatures like that. What they do is use a lot of diggi-down animal voices and stock library stuff. And they wanted it to be more human. The showed me some stuff. And I would improvise over a ten or fifteen minute clip. I'd just try and follow it. They showed me the scene once, so I could sort of follow it. I would just improvise to it. We would lay down a bed. We'd do it like that. And then we would go back and hit really specific bits. You know?" "The film's producers and sound people wanted the creatures in the movie to sound somewhat human, but not the standard. I guess what most movies in that genre use are pitch-shifted animal sounds and stuff like that. But they wanted this to sound closer to a human being, and they thought, 'Why don't we contact some musicians?' I guess they called a few guys, and they ended up with me." Patton spent four hours in a recording studio, trying to mimic the film's vampire-like baddies. He said it was much like his improv gigs, only with a television placed in front of him, so that he could watch rough footage of the film's evil forces. Sometimes he'd even get direction, like, "You have a steel rod poked through your eye, and you're falling out of a building — make it emotional." It was tough, he said, to not laugh during certain parts of the process: "At times, the creatures I was attempting to impersonate weren't creatures at all, but goofy-looking guys in motion-capture suits." "They tried to talk about it a little bit, and we all kind of looked at each other with funny expressions, and then we looked at the footage, just to give me an idea of what the scenes were like, and the cadences, how it moved, the peaks and the valleys, blah blah blah," he said. "I said, 'OK, I think I get it.' I improvised the whole thing over a four-hour whirlwind, and it was a lot of fun. "I've always been interested in film, so to get involved in any way in the genesis of making a film or music for a film is fascinating to me," he added. "I sat there with my mouth open the whole time. To get a chance to do what I do and have it integrated into a gigantic project like that was pretty cool." "I just walked into the room—they had a giant freakin’ movie screen in front of me and a microphone—and they would play me the scene once, so I could understand, more or less, what was happening. And then they’d say, “OK, concentrate on this character. That guy with the green eyes. That zombie.” And so I’d do a pass. And they’d say, “Yeah. Pretty good. Try it again.” I’d do it again. Like three or four times, I’d get it. And it’s really a natural way to record." Thanks for keeping this website, I will be visiting it. I was searching for something like this for quite a long time and at last I’ve found it on your blog. It was definitely interesting for me. Visit custom dissertation writing service if you want more writing tips and guidelines.